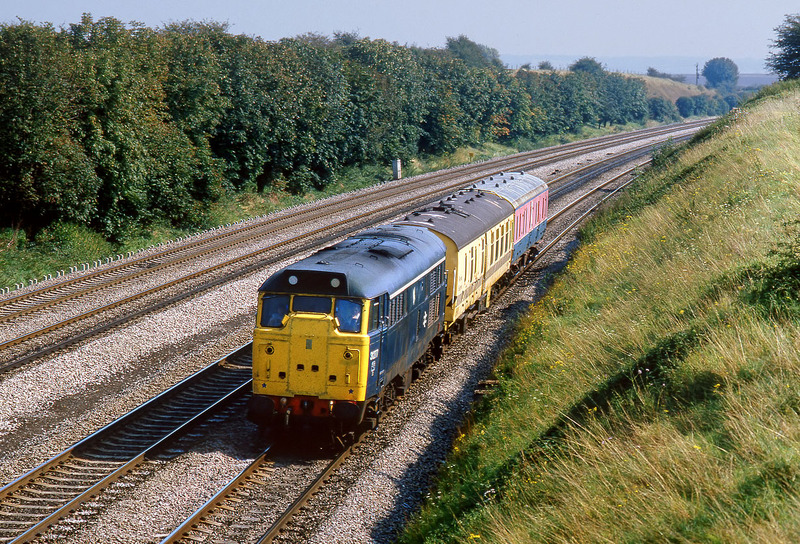 31277 passes South Moreton on 12 September 1985 with an interesting but short train, comprising what appears to be a breakdown train coach, and a research department vehicle. In those pre gen days it was very difficult to find the details of such trains. I am guessing Old Oak Common to Bristol.